Home / Blog / Forked River Brewing Oktoberfest (Only Smaller)! 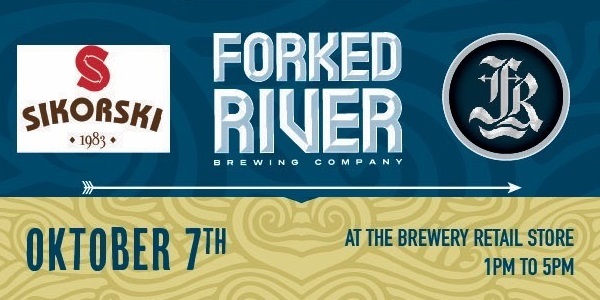 This Saturday (October 07), we’re going to be having a party with our friends at Forked River Brewing! There will be great live music by Colin Gray, Jordan MacDonald, and Saveria Rosaria, lots of fascinating brews like Autumn in Vienna and Lord Simcoe’s Revenge, and of course we will be providing lots of sausages for all our hungry friends and fans! The party starts at 1 PM and runs all the way until 5PM, so stop by the Forked River Brewery Retail Store at 45 Pacific Court this weekend and look for our distinctive “Sikorski” tent – we’ll be happy to see you there!